2) Create an actual scrapbook by pulling all of your cute photos together from your Facebook profile, because that picture of your Halloween party ensemble is sentimental! 3) Cook him or her a nice meal, make sure it’s their favorite dish. If you can’t cook, check out Pinterest for recipes or cater! (In Charlotte, Foodiecall.com is still delivering food!) If you don’t have the fixings for their favorite, you may have to improvise with the 1 lb of picnic grits you bought from Sam’s club last year – or you may want to brave a walk to the nearest grocer! I know you can do it Braveheart! 5) Write them a love note or poem! Just speak from your heart to theirs. You can select the option to make your video private where the only way your loved one can access it is with the link you provide them. This is really sweet, and if it keeps snowing the way it has been, you might have to watch it with them via candlelight so make sure that laptop is charged up! 7) Take the day off completely and play together, outside. 8) Slide in your favorite yoga DVD and do some of the poses with your loved one. If it’s just you on Valentine’s Day, you get the whole yoga mat to yourself and you will feel great afterwards. 9) Take a bubble bath! In the alternative, throw in a couple of cups of Epsom Salts. The salts have stood the test of time as a natural remedy for sore and tired muscles. 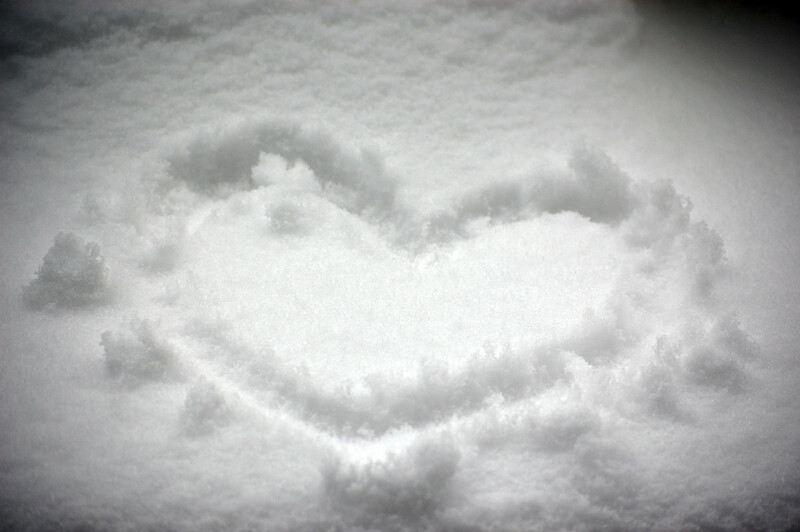 10) If you are lucky enough to be snowed in with your sweetheart, pretend you are at a grand ski resort! Make hot chocolate, put your special music on, put on some warm socks and get under a blanket on the couch and have a movie marathon! If you have a fireplace, light it up! Bake something together and fill your place with an amazing scent. to bend at the knees, engage your core and your glutes as you lift the snow shovel, and breathe with your mouth closed. Really force the nose to do what it was intended to do. Nasal breathing has a number of physiological advantages for your health and your fitness. Your breathing habits will affect your performance, endurance, post-exercise energy levels in addition to your ability to metabolize fat. Here is a great piece on proper breathing during physical exertion, from Dr. Mercola’s website. After all that shoveling, your back may feel tight. Call Results Massage & Bodywork, in the arboretum area, and book a massage for your loved one, or for yourself. Licensed massage therapist, Candy Benish, has the experience and education to smooth out the tight spots and relieve the muscle aches fast. She offers gift certificates, should you want to treat your special someone.